It takes a crew to build our gauges! From the very first design phase, right down to packing the gauge for transport to it’s new home somewhere around the globe. Our engineers work tirelessly to strive for perfection on the gauges and push our technology beyond it’s capabilities. 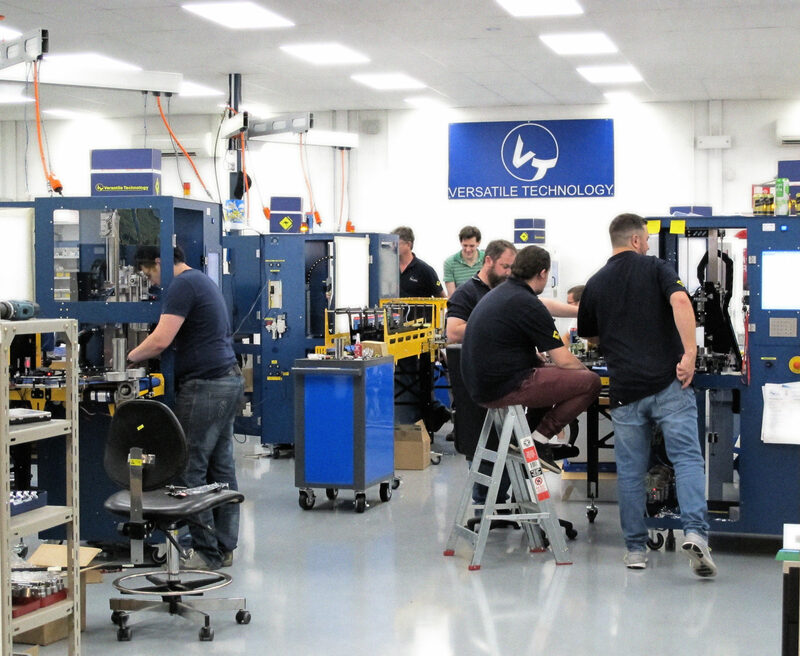 Recently, we have been working on a very exciting project which is seeing the build of 16 precision machines, 20 camera diversion modules and 20 control boxes. The V.T. crew has put the finishing touches on the Big 6 this week. Right down to the last GR&R, it takes a team to make magic happen. Phase 1# of this project seemed impossible but now it’s done, we know we are capable of so much more! We are very excited for 2018 and cannot wait to show all of you our special projects this year.